A full refurbishment of a mansion flat with under-floor heating on rubber floor and marble areas. 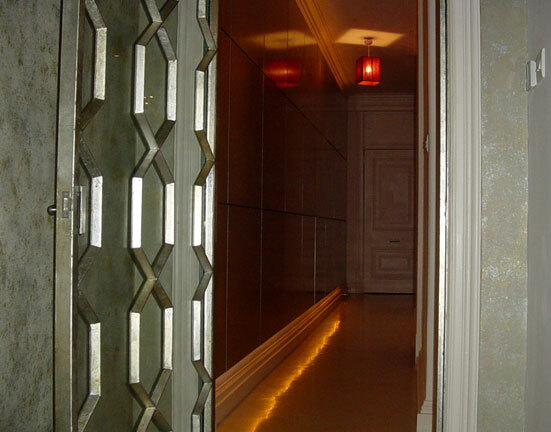 Entrance hallway with silver leafed panelled wall and bespoke steel framed doors. Louis XIV style dressing table with marble top. For the master bedroom we built a bespoke bed with high gloss lacquer, a velvet back wall and mirrored-fronted wardrobes.